Our software was designed to answer most needs, from basic video editing to professionnal work. Kdenlive is developed by a small team and new contributors are welcome. Kdenlive allows you to use and arrange several audio and video tracks, each one can be locked or muted to your convenience. 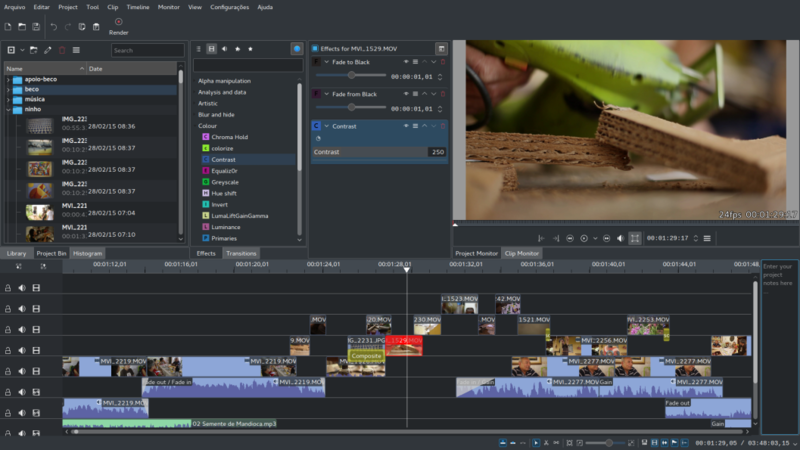 Being based on the powerful FFmpeg libraries, Kdenlive can use almost any audio and video formats directly without the need to convert or re-encode your clips. You can arrange and save your custom interface layouts to fit your workflow. Keyboard shortcuts can also be configured to match your preferences. 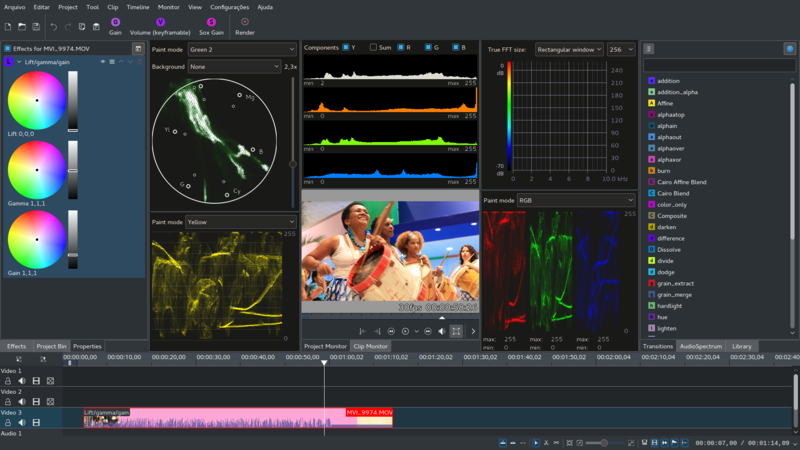 Dozens of effects are available, ranging from color correction to audio adjustments, as well as all the standard transform options. Monitor your audio level or check the color scopes to make sure your footage is correctly balanced. Kdenlive can automatically create low resolution copies of your source clips to allow you doing the editing on any computer, and then render using full resolution. Your project file is automatically backed up every few minutes, and older versions of the project file are also kept in case you need to roll back to a previous version. Download render profiles, wipes and title templates directly from the interface. Sometimes when using hi-res footage or complex effects, real-time playback is not possible. Timeline preview allows you to pre-render parts of your timeline to get a perfectly smooth playback. Most effects can be keyframed, allowing you to change the parameters over time, using linear or smooth curves to achieve the result you want. Flexible theming engine capable of a variety of light and dark themes.